As a former industry analyst, I have an affinity for–and have created my fair share of–frameworks. A good framework should make intuitive what is otherwise complex and difficult to communicate. It should also be actionable in a way that provides value. Feature prioritization is one of the most important parts of product management, yet can be quite complex. There are many ways to do it and there’s no “right” answer. As a worthy topic, then, let’s look at a few frameworks that help with feature prioritization. Before prioritizing features, it’s critical to understand the most important user tasks. What do our users need to accomplish? I realize I’m starting with a non-framework here, but we can’t just start with features. Task flows represent the steps that users need to take within your product. More detail. It’s much easier to prioritize user tasks than features. And, by thinking through the task flows, it becomes much easier to identify the important related features. Obviously, features related to critical tasks should be prioritized higher than those for non-critical tasks. First, this is a helpful way to frame prioritization: there are projects and then are tasks within each project. When it comes to projects, this approach has three steps: calculate ROI, apply constraints, and rank by priority. The article is particularly good about highlighting constraints (especially dependencies). Some of the other frameworks below focus on ROI but don’t explicitly address constraints. This article provides a good synopsis of red route matrixes, along with some examples. Note that this approach does not prioritize the actual value provided to either the business or user. Before doing some kind of cost/benefit calculation, it can be helpful to first calculate the “benefit” part of that equation. Here’s a simple 2×2 matrix to evaluate feature value. The two biggest considerations are the value to the business and to the user. From a small study I did on Zillow features that users were having trouble with. There are many ways to evaluate ROI, but an easy one is also a simple 2×2 matrix. When trying to narrow down a large list of priorities, the simplicity of this matrix can help with initial segmentation into three or five categories (e.g., high, medium, low priority). This will help identify low hanging fruit quickly, but is too simple to use all the time. 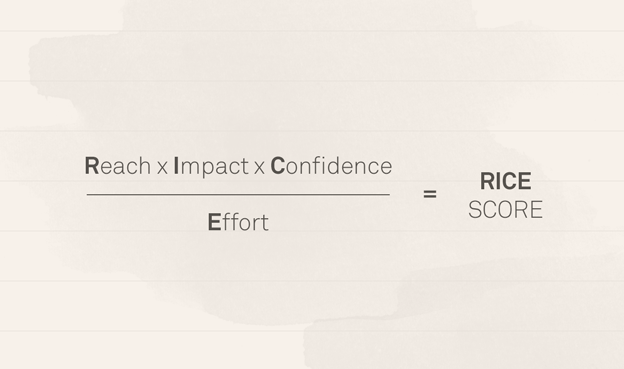 For a more comprehensive ROI framework, take a look at RICE, by Intercom. RICE stands for reach, impact, confidence and effort. Reach: number of users or customers impacted. Impact: what is the net affect? E.g., more signups or conversions? Confidence: strength of belief in the estimated impact and reach. Effort: the estimated time and resources necessary. Creating scores for each project or task makes it easier to remove bias and also then automate priority ranking. 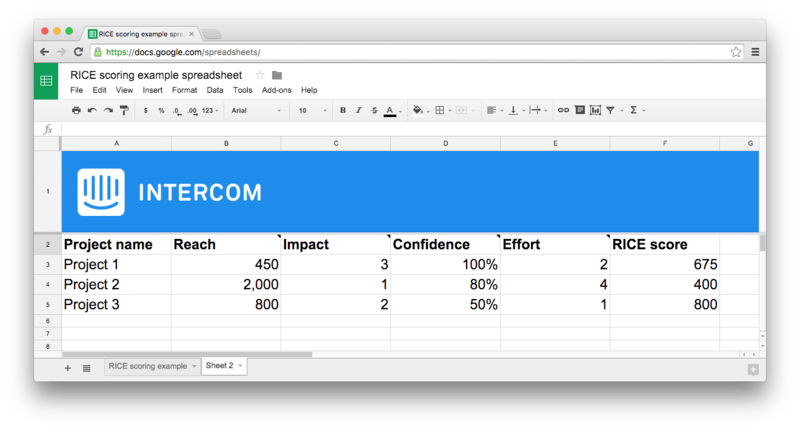 Intercom even offers a template. Another perspective on prioritization relates to feasibility, desirability, and viability. Feasibility: do we have the resources? Desirability: do people want this? Viability: people will pay for this. Originally an IDEO framework to look at innovation. This Venn diagram was originally used by IDEO to evaluate innovation. However, these are similar filters to the cost/benefit matrix above and can also be used as prioritization filters. Similarly to the RICE model above, create a spreadsheet with formulas and plug in the numbers. Since every business is different, adjust the formula and weighting as necessary. When you’ve already built a product, it’s inevitable you’ll have bugs. A model similar to the red route analysis compares the issue severity with the number of people affected. Note that this does not consider how valuable a feature might be to the business. Nir Eyal’s book, Hooked, should be required reading for product managers. This model, in particular, helps identify features that may increase product usage. These are rarely the most critical features to begin with, but may provide significant value. This is less about prioritization and more about exploring new ones.